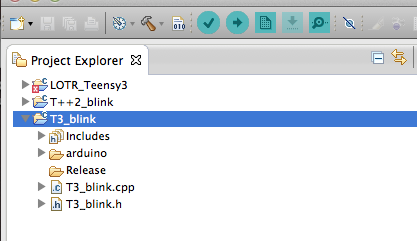 Once the first test Blink sketch is running most Programs will include one, or more libraries. 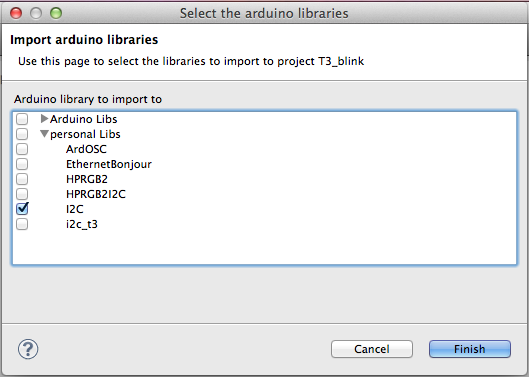 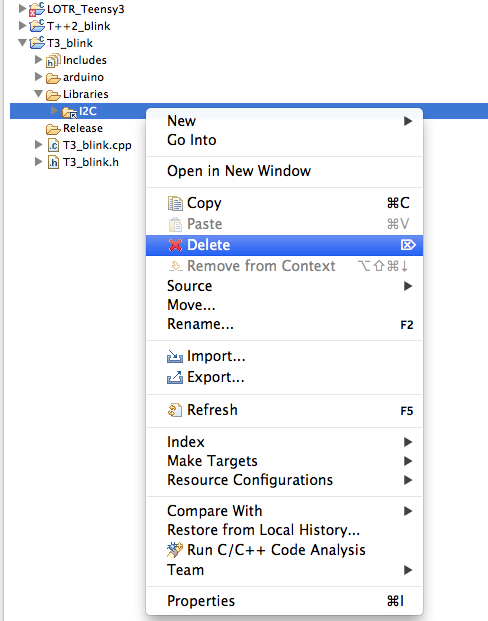 When using Eclipse ALL libraries to be used will have to be imported, including standard libraries that come with the Arduino IDE or are added by the Teensyduino plugin into the Arduino IDE. 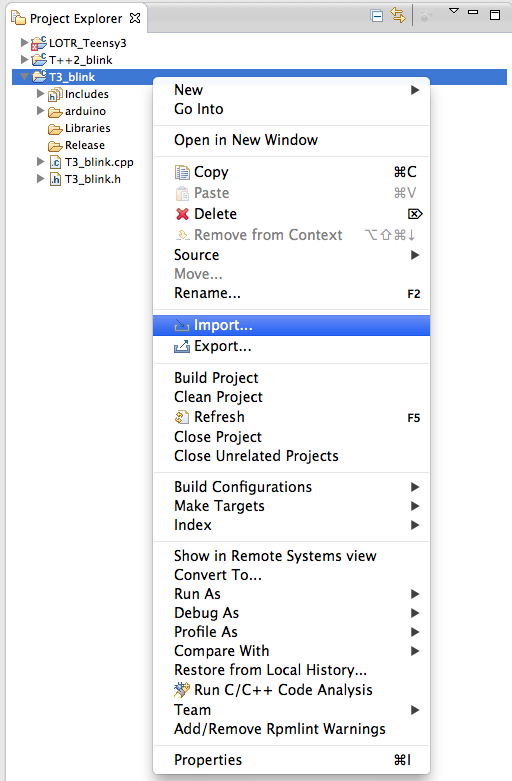 Do not change file locations using your OSs file manager e.g. 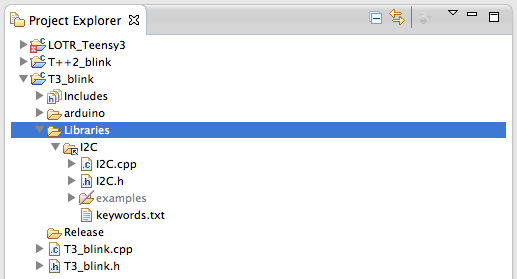 the finder in Mac OSX, otherwise Eclipse will get confused. 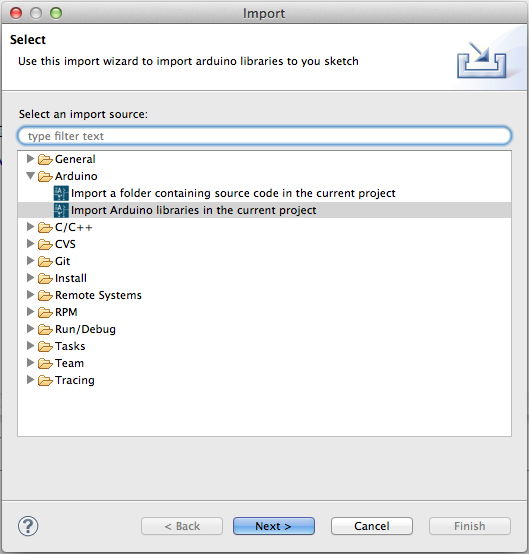 This method will not only provide you with the opportunity to import Libraries into your project but also to reference other folders with existing code that you may want to use in you project.